It has to be of real benefit to a large number of people with various ailments. If it only targets an issue few people have, I won't review or recommend it. I must have some kind of experience with the company and feel good about their philosophy and marketing methods. The company must be solid, with a solid product and ethical people and practices (as far as I've been able to tell). This is extremely important to me. There's too much hype and schlocky products out there. I can usually spot them right away, but sometimes problems surface later. That's why I have to have a history myself with dealing with the company. The product or person must not conflict with my values or worldview. This is not to say that everyone I recommend will entirely line up with my own views. I respect other people's perspectives and think that people who think differently than me often have much to teach me. But if there's a fundamental conflict with my own values, I either won't recommend them, or I'll mention my reservations. The product must be a very good value for the price. There are some products out there I've tried that are very good, but honestly, they are overpriced. I need to feel that a product has to be well worth the money before I will recommend it. If I have reservations, I'll tell you about it. The book explains the theory behind this healing mode--the how and why it works the way it does. It goes into great detail about the dynamics of "heart issues" and how they cause stress--the kind of stress that causes almost all our physical, emotional, relational, and success issues. That is Part One. Part Two gives the Universal Healing Code that works on just about any issue, tells how to use it in detail, and also gives the Instant Impact technique for healing circumstantial stress (as in when you're stuck in traffic, late for meetings, have an argument with someone, etc.). You can download an excerpt and/or get the book through www.thehealingcodeinfo.com . If you order from there, you get some extra helps from me personally, in addition to the bonuses you'll get from The Healing Codes organization when you register the book. For instance, I give you some instructions on using The Healing Code so you can get started even before your book arrives. 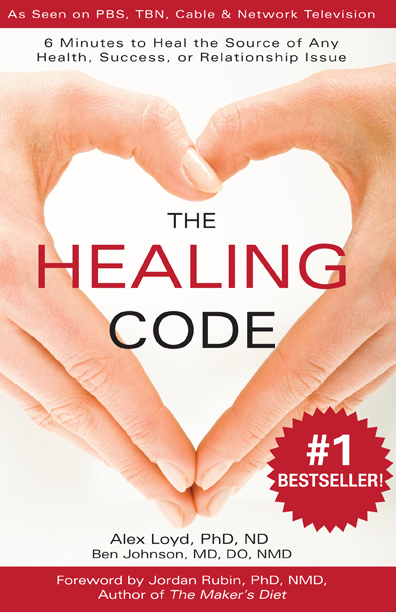 You want to understand more about The Healing Code and "heart issues"
You want the extra coaching helps from me and free shipping (order from the link below). 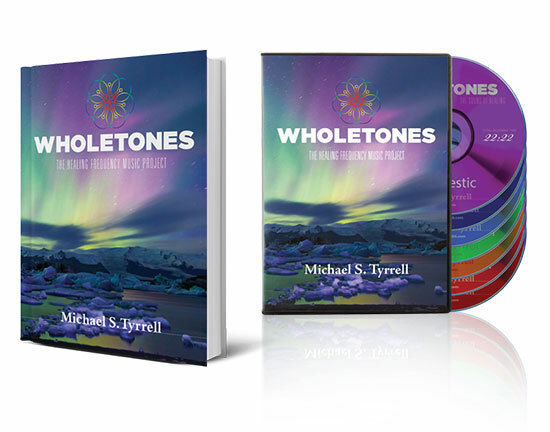 Wholetones: The Healing Frequency Music Project was created by Michael Tyrell, an accomplished author, speaker, and well-known musician. Michael Tyrrell began developing it after he met a piano player in Israel who gave him what appeared to be a simple manuscript. Inside that manuscript was the music that would change Michael’s life forever. As he began working with it, he discovered 7 hidden musical frequencies that had the power to heal the mind, body, and spirit. You enjoy music feel it will enhance your Healing Codes session (rather than distract you). You aren’t too concerned about timing your Healing Code. If you are concerned, you can set a timer of some sort (there’s one on my site) to go off every 30 seconds or so, while you listen to Wholetones. You like the added bonus of just being able to listen to great healing music, even when not doing a Healing Code. Visit https://www.healingheartissues.com/wholetones to learn the whole story and discover how this music can enhance your wellness. There are a handful of products I recommend that enhance The Healing Codes in different ways. We know that stress is the main factor of up to 95 percent of all illness and disease. There is the unconscious stress caused by the hidden destructive memories, unconscious beliefs, and negative images stored in our bodies and, I believe, our spirits. This is the stress that The Healing Codes and prayer excel in healing. There is another "stuck stress" that can come from the ways we sit, stand, walk, and otherwise move and position our bodies. For that kind of stress, there is a wonderful method I've begun to use that is yielding wonderful results, for me, my friends, and my clients. It is called the MELT Method, developed by Sue Hitzman, in her book by that name. The MELT Method is very simple. Through some gentle techniques using special balls and/or a roller, it rehydrates the connective tissues in your body. Connective tissue supports all your organs, your skeletal structure, your muscles, and every cell. In fact, as I studied Sue Hitzman's book and put it alongside the models of the energy systems in the body, I can't help but wonder if connective tissue is the physical mechanism through which energy, or the body's electricity, flows. And we know that water is a conductor of electricity. So doesn't it make sense that the places where our energy gets blocked, would be those places where our connective tissue is dehydrated? At any rate, through these gentle techniques, you end up rebalancing the central nervous system regulators and boosting your body's natural healing and repair mechanisms. It is the perfect complement to The Healing Codes. The Healing Codes neutralize the stress from negative memories, images and beliefs, and MELT erases the "stuck stress" that shows up in the body not only from negative memories and the like, but from the repetitive movements from daily living that also produce "stuck stress." · You sit much of the day, especially at a computer. · You are in chronic pain. In her book, Sue Hitzman has “MELT Maps” that address all of the above and more. Plants have been used to heal probably since the beginning of time, and the medicinal value of plants is well-researched and well documented. We get the goodness of plants through what we eat (make sure it’s organic, these days), through Essential Oils, herbs and other botanicals, and through a brand-new invention, called the Halo Light System. Plants were given by God for nutrition, for life, for healing, along with water and light (the Lamb being also the Light of the World). For nutrition, no doubt you have your favorite supplements, and there are scads of good ones. I p ersonally use a supplement called Dr. SeaSeven, which is based on sea vegetables from the coldest waters of the ocean. Because our soils are so depleted, even good organic vegetables and fruits may not give you all the nutrients and trace nutrients your body needs. I find that this brand of sea veggies does a lot for me. My 85-year-old mother also won’t be without it. Beyond nutrition, there’s the whole arena of plant-based medicine, using Essential Oils and the newest and most advanced way of getting the goodness of plants into your system: The HALO Light System . Another wonderful reference guide is Adaptogens in Medical Herbalism: Elite Herbs and Natural Compounds for Mastering Stress, Aging, and Chronic Diseaseby Donald R. Yance. 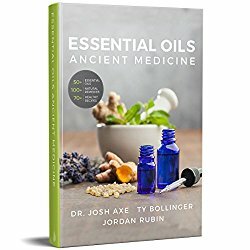 This is a huge compendium of information not just on the plants and how to use them, including references, but also on stress and the keys to optimal health. You will learn so much not just about plant healing, but about how the body works to achieve optimal health. Both of these books helped me to see why “the next frontier” in plant-based medicine is probably the new invention by Michael Thomas, the HALO Light Systems. Every so often I come across something truly remarkable, and my spirit just knows it's a breakthrough. That's how I felt when I heard about The Healing Codes. Something "clicked" in my spirit, and I had to try it. Seven months after doing The Healing Codes to address the issues of my heart--not the physical issues--I discovered that a hole in my heart got closed up (verified by test results and two doctors). Now there's something else that gives me the same "click" in my spirit. 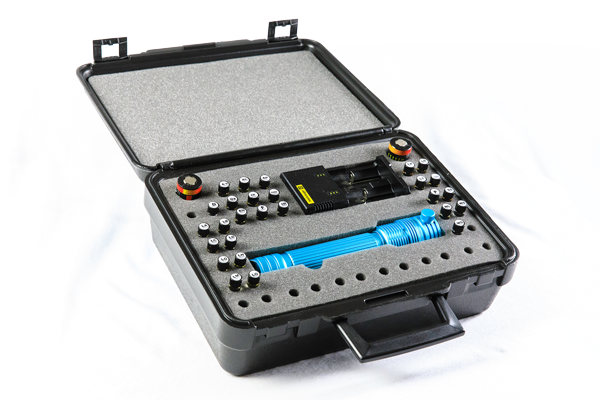 It's something called the HALO , which stands for Harmonic Amplified Light Output. It is a revolutionary approach that combines the power of LIGHT and the power of botanicals in a delivery system that gets the harmonic essences of these therapeutic plants into your body in the most bio-available way possible. The HALO was developed by Michael Thomas, a master chemist who through tragedy and then his own life-altering bout with 3 kinds of cancer, developed an instrument that gives the body an amazing array of life-giving botanical harmonic essences that allow the body to heal itself. The whole story behind the HALO and how it works--including inventor Michael Thomas's tragic story--is totally engrossing. I highly recommend you take some time to look over the informational site at www.plantsandlight.com . I bought the HALO Blue and began using it on April 6, 2017. Because of my regular Healing Code work--I have been doing Healing Codes at least twice a day since 2007--I didn't have a lot of major physical issues. Yes, before The Healing Codes I was diagnosed with Hashimoto's Thyroiditis, osteoporosis, and a few other things, but those issues are largely under control since I started using the HALO. Since using the HALO, though, I have seen many interesting to amazing results. For instance, something that looked like a black splinter showed up on my finger. It was not a splinter, though. Probably was a wart of some kind. After using the HALO on it for just a minute or two for a few days, whatever it was just flaked off. I shared my experiences with the HALO in a teleseminar. You can sign up here to access the replay , my testimonials, and other information about HALO. I am also one of the very first Certified HALO Coaches. You can find out more about that at www.DianeEble.com/halocoaching.html . I see the HALO Light System as an investment in my health. I've already saved money because I don't have to see my chiropractor anymore. He was treating me for neck pain and adrenal issues. The neck pain is nearly gone. The last time I saw the chiropractor, I showed him how mobile my neck was. (More than for the past many years.) I also asked him to test my adrenals. He said they were "much improved," not quite there yet. I had run out of the supplements he gave me so all I had been doing was the HALO. · You understand and believe that the body can heal itself, given the right “ingredients” to work with. · You are willing to invest in something that will last you and your loved ones the rest of your life, to provide your body plant-based energies to help your body heal itself. If you come to the conclusion that the HALO is right for you, and you make the decision to get it, I have some bonuses for you when you order a HALO through http://www.plantsandlight.com . Go here to find out about the HALO bonuses . To me, plant-based solutions—in all the forms—are THE way to go. If You Ever Need More Help . . . Remember, if you feel you need some help identifying your issues, you may always get a custom Healing Code and coaching. I can easily test for hidden memories which, when found and addressed, can dramatically speed your healing and make it permanent. In fact, Dr. Alex Loyd told us coaches recently that more and more, he is going for the “hidden memories” in his work with people. I am doing the same. Your heart may, on its own, find these generational, in utero, birth trauma or early hidden memories, but often it doesn’t, simply because they’re so foundational and unconscious. The Healing Codes are designed for self-help, but many of us can always use some personal attention along the way. If you ever feel stuck on your own, visit www.healingcodescoaching.com/order-custom-healing-codes.html and we will be in touch to speed your healing. Whether you need to be supported, have questions, or would love to give a testimonial, feel free to contact me. Note that the best way to reach me is email, as I’m on the phone with clients a lot! Note: You can assume that any product I promote that you buy through a link on my site will pay me an affiliate commission. This allows me to pay the bills and keep my coaching fees as affordable as I can, as well as have the time to educate you about things like how to get the most out of The Healing Codes, articles which reach a wide number of people who will never pay me a cent. I love writing about healing and this is one of the ways I get to finance it. So if you would be so kind as to buy through my links (this means you need cookies enabled on your device), I would be most grateful and can continue to bring you good information about healing, 90% of which is offered freely. Thank you in advance.